Nintendo continues to play with our emotions. 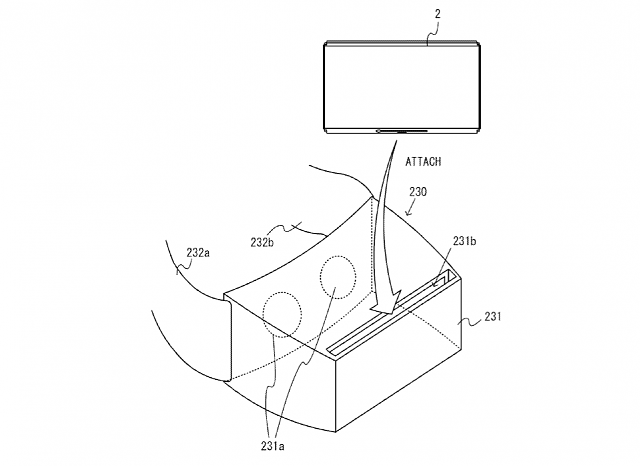 The company has yet to outright state if its upcoming console, Switch, will support VR, but patents uncovered today suggest that its certainly possible in the future. NeoGAF user Rsti posted the patent online complete with various images and descriptions that match the new device, which allows games to be played either at home on a TV or on the go with a screen mounted to two handheld controllers. Among the images, surprisingly, is what looks an awful lot like a VR headset, referred to as a head-mounted display (HMD) in the documentation. From the sounds of it, the Switchs screen could be inserted into a slot in front of a pair of lenses, much like current smartphone-based headsets like the Gear VR and Daydream View. No direct mention of VR is made in the entire patent, but its hard to see what use a headset like this would have outside of VR. 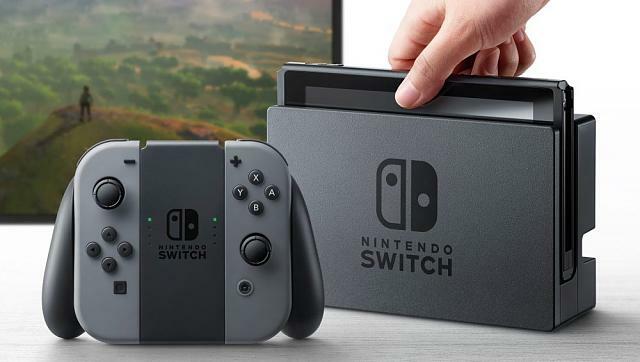 While Switch isnt thought to be as powerful as current home consoles like the Xbox One and PlayStation 4, its powered by Nvidia Tegra technology that would allow it to at least run VR content similar to whats available on current mobile solutions. We still have a lot to learn about Switch itself, of course, but if this accessory were to become a reality either the main unit or this device would need the necessary sensors to simulate head-tracking, allowing players to look around within VR spaces. We havent seen anything from Switch that suggests Nintendo might have its own inside-out solution for more elaborate positional tracking, but the company is set to talk more about the device at an event on January 13th. Still, this isnt in any way confirmation that Switch will support VR, it could simply be one of many ideas Nintendo has for its upcoming device, due to launch in early 2017. Rumors about the possibility of VR support have persisted for several months, despite Nintendos stance on the tech, which seems to change with every new answer from a company executive. With a stable of IP including Mario, Zelda, and Metroid, though, weve certainly got our fingers crossed that Nintendo really is about to get into the game. Interesting though I do think that display may be a bit too large for a headset. But I am not surprised they would patent such a concept even on the off chance they may try it. Screen resolution might not be too hot either. Seems like it wouldn't be too different than most other mobile vr platforms however the screen resolution and weight may be worse. On the up side, I would imagine the graphics and processor would be more powerful than most phones. It great to see that this is possible in the future as a possible upgrade. I haven't been this excited about a Nintendo product in YEARS, and this just sent me over the edge. I haven't had a Nintendo system since N64 but I'm very interested in the switch regardless of it's VR potential. So one of the things I'm thinking could be that is one a cartridge and the VR HMD is a whole console itself, another thing is even when it has that slot to put something inside Nintendo will broadcast/stream to the HMD a VR version of their games from the console. But that is just trying to solve the equation in my head as is there a right and good answer. Tempered glass screen protectors and Gear VR?